Refer to the exhibit. How will data files get retrieved from the server? The client establishes a two-way connection to the server on port 21 for file transfer. From the perspective of computer A, port 21 is used to signal a push to the server, and port 20 is used to signal a pull from the server. There is a connection established to send files from the client to the server and a second connection to get files from the server to the client. Computer A establishes a connection to the server on port 21 for control and uses a second connection on port 20 to download and upload files. Refer to the exhibit. 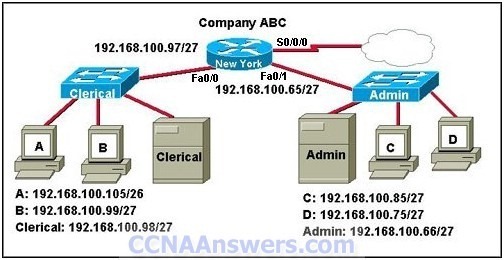 The PC, the routing table of which is displayed, is configured correctly. To which network device or interface does the IP address 192.168.1.254 belong? 7. How does the transport layer allow a host to maintain multiple, simultaneous communication streams across different applications? It uses error control mechanisms. It uses a connectionless protocol only for multiple simultaneous transmissions. It uses multiple Layer 2 source addresses. Refer to the exhibit. The NAT functionality of the router is enabled to provide Internet access to the PC. However, the PC is still unable to access the Internet. 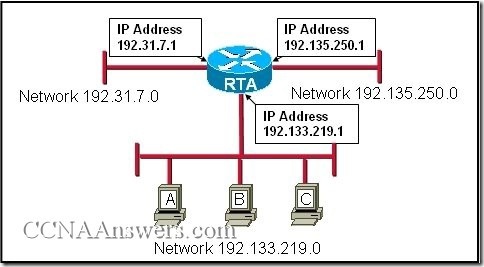 Which IP address should be changed to 209.165.201.1 to enable the PC to access the Internet? Refer to the exhibit. A technician uses the nslookup command on the PC and views the output that is displayed in the exhibit. 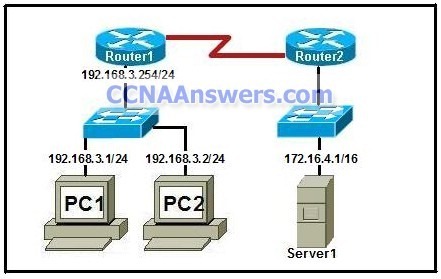 What is the IP address of the primary domain name server used by the host? Refer to the exhibit. Host X is unable to communicate with host Y. Which command can be run at host X to determine which intermediary device is responsible for this failure? 11. In a Cisco IOS device, where is the startup-configuration file stored? It uses multiple port numbers. Refer to the exhibit. Which logical topology describes the exhibited network? 14. A user types the enable command. What task can be performed at the privileged EXEC mode? Issue show and debug commands. It uniquely identifies each host. It assists in forwarding packets across internetworks. It uses a logical 32-bit IPv4 address. It is not a configurable address. It is a physical address. It identifies the host from the first part of the address. 20. Which device should be used for routing a packet to a remote network? 22. 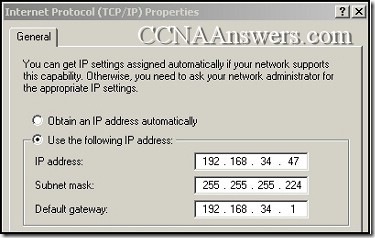 As network administrator, what is the subnet mask that allows 510 hosts given the IP address 172.30.0.0? Refer to the exhibit. The headers added at each layer are shown. Which layer adds the destination and source process numbers to ensure that data is delivered to the correct application? 24. What is the result of using the clock rate 56000 command at the serial interface of the router? The interface is configured as a DCE device. The interface timers are cleared. The FastEthernet interface is made to emulate a serial interface by assigning it a timing signal. The IP address for the serial interface is configured. Refer to the exhibit. 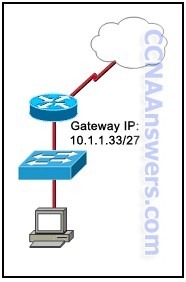 Host A uses router A as its default gateway. If host A sends an ICMP echo request to 172.16.10.0, what ICMP response will host A receive. 27. Which OSI layer uses the header information to reassemble the data segments into streams? Examine the graphic with current configurations. Host A in the Clerical office failed and was replaced. Although a ping to 127.0.0.1 was successful, the replacement computer cannot access the company network. With proxy ARP disabled on the Fa0/0 interface of the New York router, what is the likely cause of the problem? 31. Which fiber connector supports full-duplex Ethernet? 32. What purpose does a hostname serve on a router? 33. Which range of port numbers is assigned dynamically to client applications when initiating a connection to the server? Refer to the exhibit. 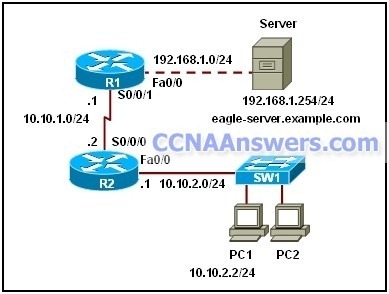 A network technician wants to connect host A to the console of a Cisco switch to initialize the configuration. What type of cable is required for this connection? Refer to the exhibit. Host A wants to access the Internet. 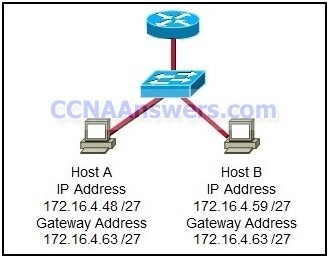 Which combination of a Layer 2 address and a Layer 3 address will enable this access from host A? 37. The Layer 4 header contains which type of information to aid in the delivery of data? 40. 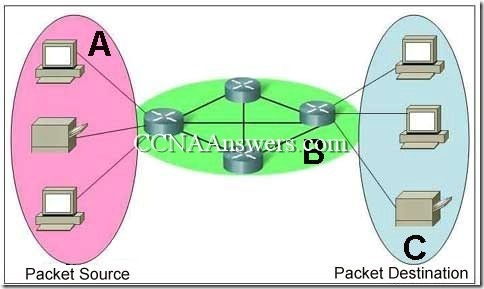 What information is used at each hop to determine where the packet will be forwarded next? 42. An administrator has made changes to a device. The changes did not have the desired effect. What can the administrator do to restore the configuration saved in NVRAM? Issue the erase flash command. Issue the reload command and respond no to the prompt that follows. Issue the erase start-up config command. Issue the copy running-config start-up config command. 44. A network administrator wants to restrict access to the router privileged EXEC mode. Which password should the administrator use? 46. While configuring a router, a network technician wants to name the router. Which prompt should the technician see when entering the hostname command? Refer to the exhibit. A technician has been asked to test connectivity from PC1 to a remote network. 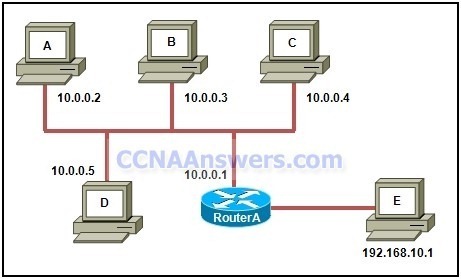 Which action will indicate if there is remote connectivity? Refer to the exhibit. A web browser running on host PC1 sends a request for a web page to the web server with an IP address 192.168.1.254/24. What sequence of steps will follow in order to establish the session before data can be exchanged? The session will be initiated using UDP. No additional acknowledgment will be required to establish the session. The session will be initiated using TCP. No additional acknowledgment will be required to establish the session. The session will be initiated using UDP. The returned web page will serve as an acknowledgment for session establishment. The session will be initiated using TCP. A three-way handshake must be successfully completed before the session is established. This configuration allows users to connect by using a modem. 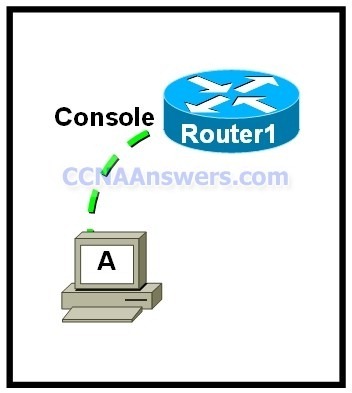 Users must specify which line, 0 or 4, they wish to connect to when making a connection. This configuration allows users to connect to the router via the use of the telnet command. 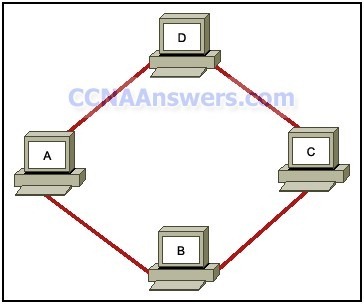 This configuration allows five users to make simultaneous connections to this router. The configured password is automatically encrypted on the router.